The tension between Floyd Mayweather and Clifford Harris has yet to subside, with the rapper taking the high road and bouncing from a club. 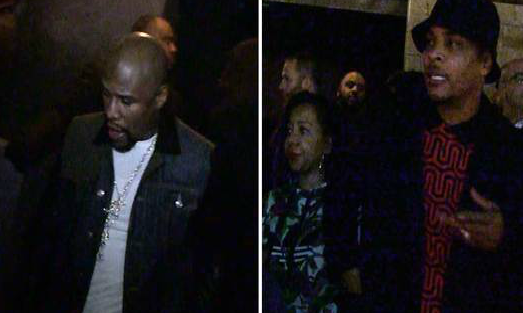 Mayweather arrived at Warwick first followed by T.I., who was there a few minutes before his wife Tiny arrived. The couple only stayed about three minutes before they decided to roll.